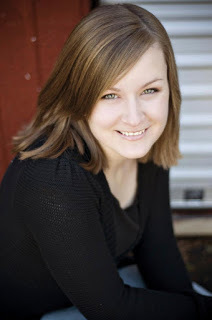 Two Chicks On Books: Blog Tour- NOW I RISE by Kiersten White An Interview & Giveaway! 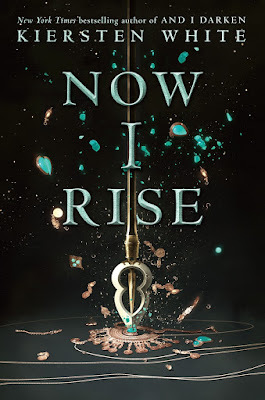 Blog Tour- NOW I RISE by Kiersten White An Interview & Giveaway! Hey everyone! I am thrilled to be hosting a spot on the blog tour for NOW I RISE by Kiersten White! I freaking loved this amazing series! I have an interview with Kiersten to share with you today! And make sure to enter the giveaway below! Haven't heard of NOW I RISE? Check it out! Hi Kiersten! First I want to say welcome back to Two Chicks on Books! NOW I RISE was absolutely fantastic and I can’t wait for everyone to read it! And am so happy that you could stop by for a visit! Thank you so much! I’m so happy to be back. 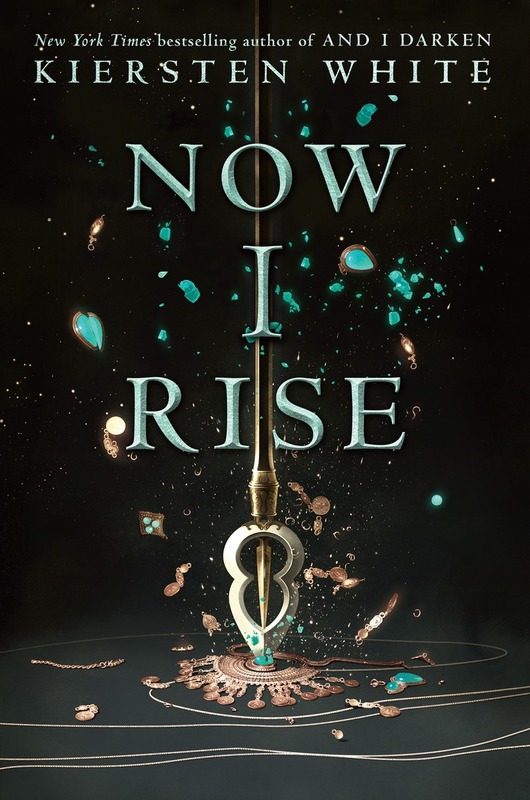 For the readers: can you tell us a little recap of AND I DARKEN and what we can expect in NOW I RISE? And I Darken followed the travails of the Dracul siblings, Lada and Radu. Traded by their father for leverage, they were raised as political prisoners in the Ottoman courts. Radu, kind and thoughtful and desperate for love, surprisingly flourished. Lada, vicious and ruthlessly ambitious, struggled against the restrictions of both their captivity and her gender. But they both found a lifeline in Mehmed, the brilliant third son of the sultan. When Mehmed was thrust onto the throne, Lada and Radu used their separate skills to help him evade assassins and solidify power. They both also developed feelings deeper than friendship for him. At the end of book one, they are faced with a choice: Remain under the protection of Mehmed and help him, or go on to the throne of their long-lost home. Radu chose to stay. Lada chose to leave. Book two will trace their separate journeys as Lada realizes having power is not as simple as claiming it, and Radu’s loyalty to his faith and his friend are pushed to their limits when he goes behind the walls of Constantinople as spy and saboteur during the greatest siege of their time. So do you have a title for book 3 yet? Yes! It’s brilliant! I can’t tell you! I’m so sorry! I have also seen the cover, and, as much as I absolutely adore books one and two, it’s my favorite. particularly interesting lore from the area? There was one church we visited in the countryside that was seven or eight hundred years old. Carved on one wall was the face of God. And on the other, the Green Man, an old pagan deity. I loved that they were totally cool putting them both in a Christian church—covering all their bases! The Green Man lore is really fascinating to look into, and hopefully I’ll write a book one day where I can explore this duality and melding of beliefs. It was also amazing to visit Vlad Dracul’s historical sites. We didn’t do it on purpose, but we ended up at every significant one, and getting a real sense for where he walked ended up being invaluable a few years later when I started And I Darken! It’s a tie between Nazira, Radu’s sort-of wife, and Nicolae, Lada’s comic relief and semi-conscience. They both functioned in the role of loving their respective friends but also being honest with them. My least favorite character to write was Matthias Corvinus. Not because he is awful, but because he has such a fascinating and rich history himself, and I had to cut almost all of it to fit him into my fictional tale. I still feel bad about it—he deserves his own trilogy! What is your favorite passage/scene in NOW I RISE? When [spoiler] finally makes it through [spoiler] and takes [spoiler spoiler spoiler], and the sense of triumph and relief, but also how much is left to come that [spoiler spoiler spoiler SPOILER SPOILER SPOILER]. That, or the scene where Nicolae admits he sold Lada to an old man in the mountains in exchange for a goat. It was the age range I had the most fun reading, and therefore the one I wanted to tell stories in. I am dying to read so many things! I’ve been under deadline and thus not reading. But Laini Taylor, Nic Stone, and Amie Kaufman and Meagan Spooner are all taunting me from my TBR pile. Marvel generally, but Wonder Woman always. I’m a massive sugar fiend. Thanks so much Kiersten for answering my questions! I can’t wait for everyone to read NOW I RISE! 3 Winners will receive a finished copy of NOW I RISE, US Only. A smooth video chat because it is complimentary. video facetime short article. Facetime application is an Apple. Touch the web link listed below to install musically from the main internet site. Musically places them based on the sights. If you have a Musically login.